These do not have drilled ends to accomodate the bobbin sets. 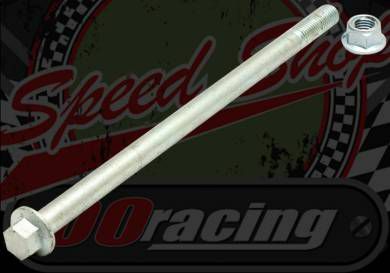 An 12mm diameter axle of your choice of length. These are steel construction with zinc plating. Length is worked out from under head of bolt to the end of the thread.